Children love using electronic devices i.e computer, mobiles, tablets etc now a days. They love to surf their spare time sitting to the computer. But don’t you think they’re wasting their time? This time is very important for the children, they are in learning stage, their mind is more capable to learn more and more things than the elders. Aren’t I right? Every second is important of their life, they are in initial stage, so they need to learn something good in each of their time gone. By the way, there are lots of ways to educate your kids. It may be playing games, through educational softwares etc in case of computer. Keeping these aside, I will suggest you to try Flash Cards in order to educate your children in an easy and non-boring way! Yeah, you can download free flashcards templates on your computer so your children will learn from them as there are different types of flash cards templates available. Various kinds of templates for flash cards are includes Alphabet flashcards, Maths, Shapes, colours, sizes and spelling and most importantly Quiz flashcards templates (included in our list) etc. 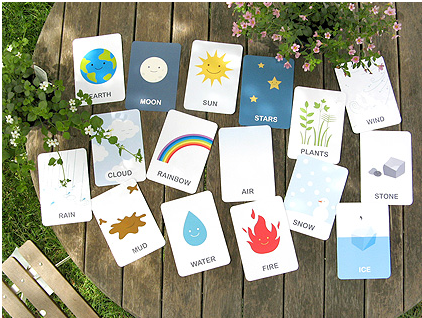 Flash card templates can also be used for some fun and to amaze your friends etc. For other purposes, templates of other categories i.e Friendship, apology, thank you cards, greeting flashcards can be used. You can download pre-made or blank templates (listed below) for it. I would like to remind you that in our recent post, we shared few educational apps for smartphones and in today’s post we are going to share the list of best flash card templates which can be used in order to educate your children. Also we are some new and unique things in our queue list! Tip: you can get through email, to get follow us via email. This flash contains great facts and names about the nature including rainbow, earth, snow, air, plants etc. Download this pdffile and let your children know about it. The corresponding pictures and words are used in it so they will clearly learn fast and easily. 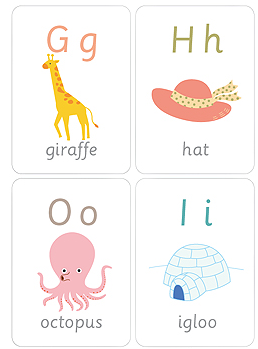 mrprintables has great variety of educating material, one I found the more compatible and useful is its printable alphabet flashcard. You can download and either print or directly run it on your computer for your children so they will learn alphabets very easily. They used graphics for which make it pretty much easy to understand. Now let turn to the math side, here is the collection of top and best flash cards on which some rules and facts are drawn about multiplication. The list contains 20+ free worksheet for different multiplications. I highly appreciate their work because they drawn diagrams in case of each so readers will not be bored and they will learn in an amazing way. You may GO here to download either one by one or all in one zip file. Another great way to test the children in a unique way is to use this fill-in missing worksheet. You can download the worksheet from the fun2write’s website. Here at the link mentioned above, few other types of learning materials for mathematics are available including Number recognition and counting, addition, subtraction etc. Now here are few template which let you trace and recognize few shapes. How a shape look like and what it is called. What is it spelling. Learn these in a new and fruitful way. Go here, download, print and let your kids know about these shapes. They would love it! Here are numerous types of printable template available on which addition/subtraction/multiplication laws and rules are drawn. You can select the type i.e Horizontally and vertically solved in case of all. Colour recognition, you will be given few shapes with different colours and you will be asked to select one, for example red, purple or any other. As I mentioned above these can also be used for other purposes than the educational. Here are friendship. Thank you, apology cards you can download. After downloading you can edit these and can write your own words in the body. This is highly recommended and useful for you. I recommend to download this. In this printable card. All 26 alphabets are used for different names of animals, things and personalities. This is a special flashcard for your children. Each of the alphabet had been used 7 times, it means you (your kids) will be able to use each alphabet for seven different things. You can download it form here. That’s the end of our today’s collection. I hope you liked our collection of the top & best flash card templates. Also do share this post on your social profiles and let share our voice. Let people use their electronic devices for educational purposes. Your blog is really interesting. I just wanted to invite you to please join my blogging networks to increase your blog traffic. That's why I would like to invite you to please create your account and share your favourite links, blog posts, images, products, recipes and videos on FavouritePost.com. You can also try Triplebx.com and BloggerGlobe.com.